Lightweight body, equipped with LED fill light, built-in Bluetooth remote control self-timer* 1. LED fill light magnetic design, easy to install, can be used independently, 2 level luminosity, necessary for night shooting 2. 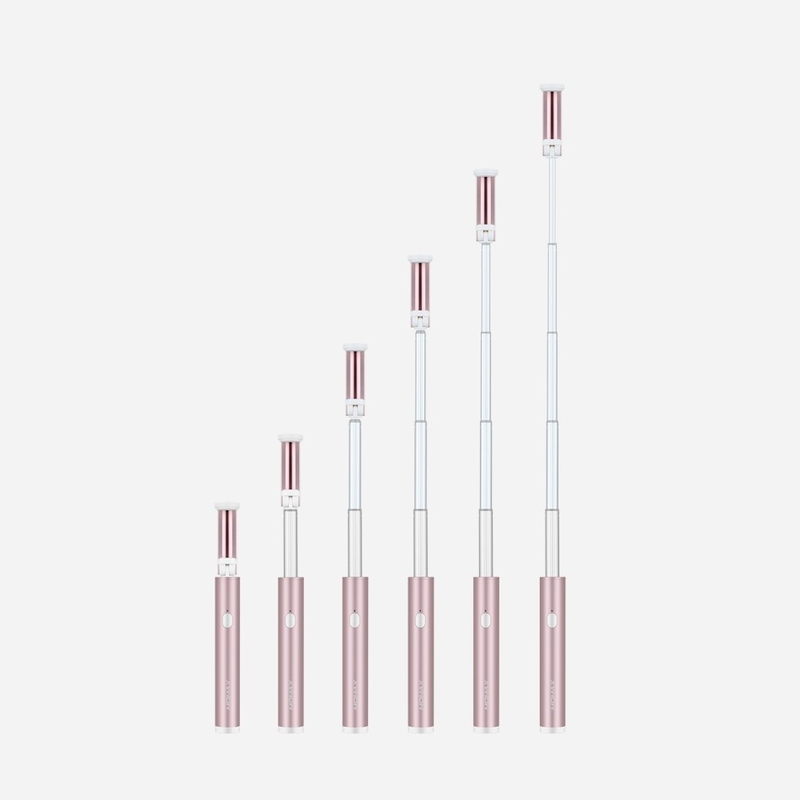 Only 197mm long, 120g weight, easy to carry 3. Built-in Bluetooth, seamless remote control phone shooting 4. The longest extension is 600mm, and the scenery of the monks is unobstructed. 5. 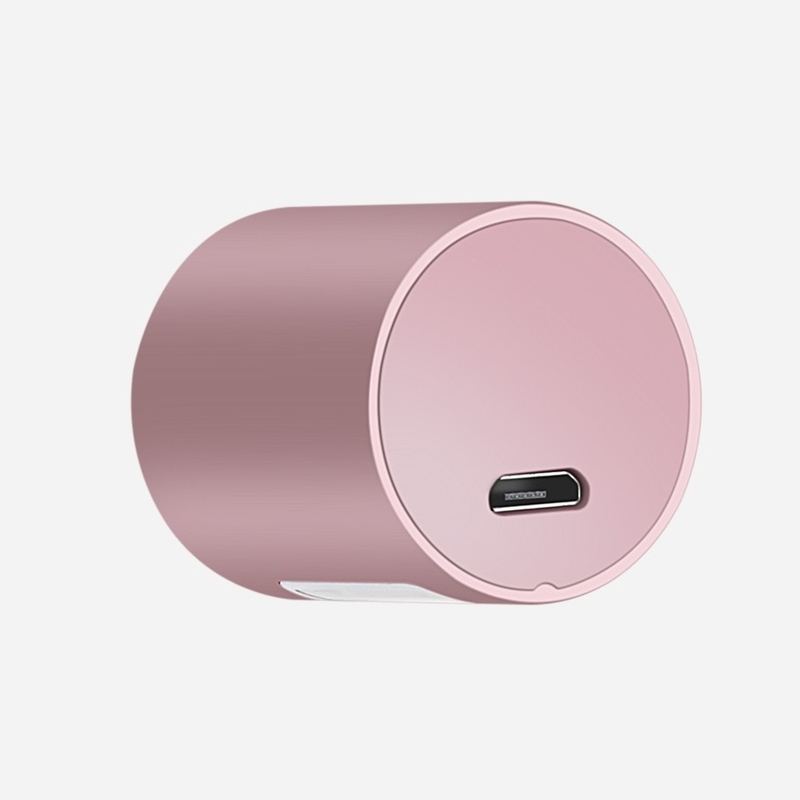 Comes with storage bag and Micro USB charging cable 6. 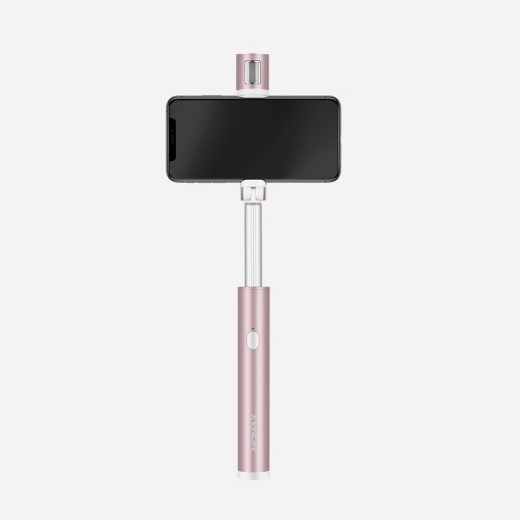 Color: black, rose gold Pocket selfie stick with built-in Bluetooth remote control and detachable LED fill light. Enable beautiful photo shooting day and night.